Supporters of Argentina’s former president, Cristina Fernandez de Kirchner, chant slogans outside the court where she appeared before a judge on a corruption case, Buenos Aires, Argentina, March 7, 2017 (AP photo by Victor R. Caivano). Argentines watched in shock last month as former Vice President Amado Boudou was arrested and put in pre-trial detention on corruption charges. 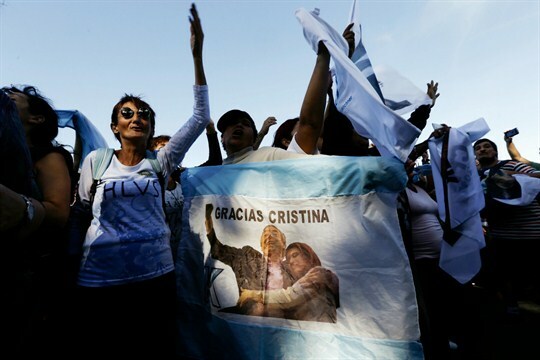 It was the latest in a string of arrests of former officials from ex-President Cristina Fernandez de Kirchner’s administration, causing many to question whether the former president, who faces indictments in several criminal cases, could be next.